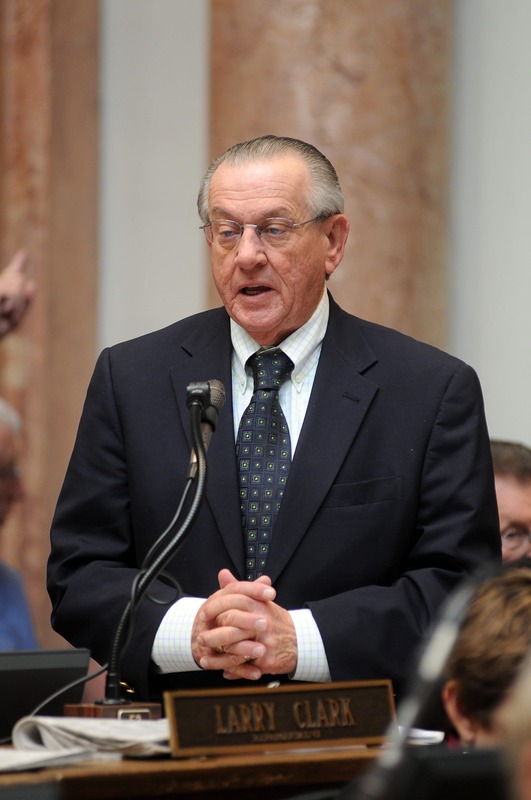 By Representative Larry Clark -Governor Matt Bevin has made it no secret that he favors so-called “right-to-work” legislation for the upcoming session of the Kentucky General Assembly. His Republican colleagues in the House of Representatives echo this support and by all appearances intend to put the issue front and center when the legislature convenes this January. However, right-to-work supporters ignore some well-documented facts showing passage of such a bill is wrong for Kentucky’s working families and wrong for Kentucky as a whole. What is right-to-work (“RTW”)? It’s a change in Kentucky labor law that would eliminate an employee’s obligation to pay the costs of union representation if he goes to work for a unionized firm but chooses not to join the union (no employee is ever required to join any union). A non-union employee at a union shop pays what are called “fair share fees” toward the union’s representation of all employees covered under a collective bargaining agreement, whether those employees are union members or not. A right-to-work law lets that non-union employee get the benefit of union representation and all that entails without sharing in the costs. Supporters of RTW call that “freedom” for the employee; where I come from, we call that “free-loading.” How long would the Kentucky Chamber of Commerce foot the bill for a company that wasn’t paying its dues? So what is the benefit of RTW? Its supporters claim that Kentucky would be more competitive in attracting jobs and economic development if it adopted RTW. But in fact, RTW states lag behind other states in several key economic and societal indicators. According to the most recently available statistics, workers make $5,791 less annually in RTW states than in free-bargaining states, and median household income is $6,568 lower. RTW states also have a higher concentration of jobs in low-wage occupations than do states that allow free-bargaining. There are lower rates of health insurance coverage in RTW states, and fewer employees get their health insurance coverage from their employer in RTW states. The rate of workplace deaths is 54% higher in RTW states, and poverty and infant mortality rates are higher in those states. RTW states also invest significantly less money in education per pupil (31.3% less) than do free-bargaining states. Lower wages also result in reduced tax bases for local and state governments. Why would we do anything that might reduce budgets for our first responders like police, fire and emergency medical protection? Finally, Kentucky’s business climate is regularly ranked in the top five for competitiveness (#3 in 2015) by Site Selection Magazine, a well-regarded economic development publication, further begging the question of how RTW could make us that much more competitive when we’re already doing so well. This isn’t a secret. Those of us who oppose “right-to-work-for-less” have pointed this out for years. The Governor has not heard the message. But, he appears to correctly understand that creating and maintaining a well-prepared workforce is perhaps the greatest challenge facing Kentucky. His Work Ready Skills Initiative, with a $100 million bond pool for workforce development projects in sectors like advanced manufacturing, is an acknowledgement of this necessity. But why in the world would Kentucky devote such significant resources to training the workforce for competition in a global, 21st century economy only to have those workers earn cut-rate wages? Workforce development is collaborative. It works best when the interests of our youth and adult learners are aligned with those of educational institutions and employers, and all the players work together to reach their common goal. Rather than pushing a divisive RTW bill, the Governor instead should throw his support to training and educational reforms that emphasize guiding students and dislocated workers toward careers and skills that are in demand and suited to their interests, whether that be in a traditional college setting, technical and vocational education, or apprenticeship in conventional and advanced manufacturing or in the building and construction trades. Awarding KEES money for vocational education would be a good step as well. I am a proud product of vocational education, and I am honored as well to be a near 50-year electrician and IBEW member. Union representation and collective bargaining allowed me and my brothers and sisters in the trade to make a living wage for our families. I want no less for today’s working Kentuckians, whether or not they want to join a union. A right-to-work law will do nothing to achieve meaningful economic progress for Kentucky’s workers; in fact, it will hurt them. Instead, I’d encourage Governor Bevin to join me, my colleagues in organized labor, and stakeholders in the worlds of business and education to keep up the collaborative work necessary to moving us in the direction we all want to go. If he would try it, I think he might just be surprised at what he could accomplish.